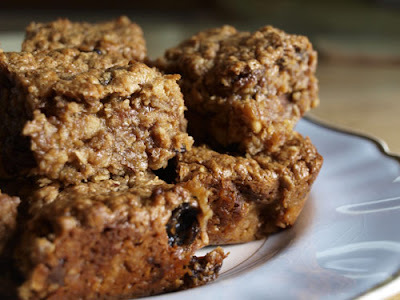 Farmersgirl Kitchen: Flapjacks to die for! LOL! They should be on prescription for very thin people! Love it! They do look exceedingly decadent, but very nice Janice. Oh my, they look worth an extra 10 hours on the threadmill!!! 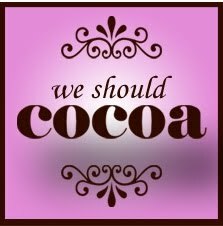 Those evil people from We Should Cocoa! I have only heard of flapjacks before but never seen how to bake it or how they look like. Now you told me it is for think people, I'm out of the league. LOL. One day I want to have just a small bite... it won't hurt right? ;-) Looks delicious! I could really do with a slab of this right now and a cuppa! Mmm I bet they were delicious! I know what you mean about pressure once people know you're food blogging - my chocolate pear tart was dissected and judget meticulously (yet light heartedly!). When I saw your tweet I was wondering if they were a "naughty" recipe as they were described as prescription flapjacks, haha! That C has a lot to answer for doesn't she lol. I am slightly worried now that I have missed you off our round up now ... just going to check! These look fabulous - and yes, people do have unfair expectations of us, don't they? Oh for the days when you could invite someone over for a cup of tea and a disaster cake! Yummity yum, how could these be anything other than scrumilious - sound more like fudge than flapjacks! Glad to see it's not only me that realise they don't have the correct ingredients, but it's easier for me being in London. It was a very witty blog and looking forward to trying them out. Dulce de leche flapjacks sound evil-ly good! Mmm! Sorry, only just seen these! I'm so glad you made them and enjoyed them so much, and great idea to replace the condensed milk with dulche de leche - super indulgent! Thank you for the links too!